I bought this item from sasa.com few weeks back and I finally switched to this set a week ago from White Tsubaki shampoo and conditioners, so far its been GREAT makes my hair really soft and smooth! I LOVE White Tsubaki set but it can get expensive when you buy them in the states so when I saw this on sasa.com for $4.30 per bottle I had to get it and give it a try! Kao makes cosmetic brand such as Sofina and Aube, the shampoo is very moisturizing and the conditioner is really thick almost paste like, feel almost like hair masque which I like. Kao makes quality products so I wasnt surprised that this shampoo & conditioner works so well and it also smells good. Immediately after I rinsed my hair and towel dried my hair I could feel that my hair was super soft after I dried my hair I could see very nice shine to my hair! 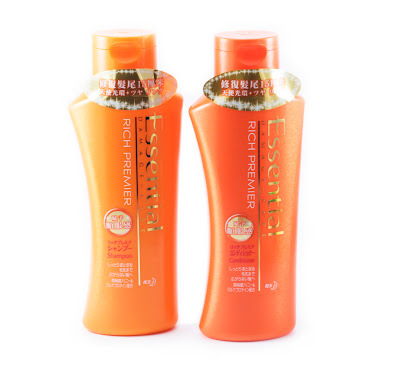 The orange is good for dry/damaged hair and my hair tends to get dry due to all the process I did to my hair but this set really made my hair soft and shiny. 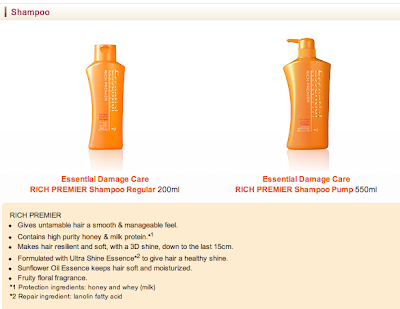 Here are alittle info on this products, click to enlarge if you can't see the texts. 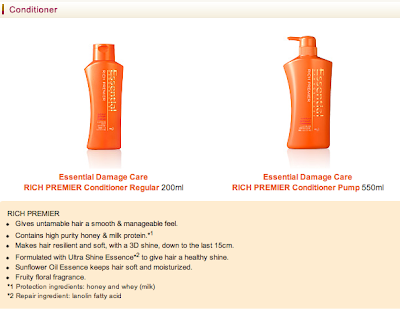 Overall I would def buy this again, will make your hair feel and look healthy~great price and great product! Also sasa.com is still doing free shipping if you use paypal to check out! Hope this review helps! Thanks for stopping by! Oooh. I might pick up the Nuance Airy conditioner (if the MBD masks ever come back in stock!) - I'm about a month from finishing up my Avalon Organics one and this one sounds really nice!! I... am also terribly attracted to the bright pink bottle teehee. Thanks for the review & introduction to the line Eki! This sounds like a really good product and it does make your hair look really healthy. Do you think it would work for thinner hair or is it too heavy? oh I should stop reading your blog! HAHA kidding! But here is another thing you made me want to buy. I use and love the red Tsubaki, but it costs a lot online and with shipping....But this is just as good? hmm Might give it a try when I run out of shampoos and conditioners! The conditioner I especially love. It made my hair soft too! Glad you liked it as well! And I still LOVE your darker hair!!! i need to try my tsubaki white shampoo/conditioner.. it's been sitting in my drawer.. the costco-sized dove shampoo/conditioner are taking forever to get used up!! LOL @ Sarah's comment about the costco-sized products! hehe they take quite a while to use up! WOw! Its amazingly cheap too! Il definitely keep this in mind when I run out of shampoo =(! i love your soft romantic curls and wow those individual lashes look great on you!! 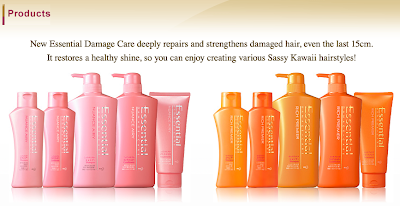 I just got the pink line (shampoo, conditioner, mask) and they are great! Thanks about the review!! !